So you are probably wondering what's the connection between the Myrtle Beach Train Station and the Berwick RailFan Photo Gallery and why my interest in it? Myrtle Beach is where Nicole and I started our new life together, moving there in 2000. We had a small 2 bedroom apartment 3 blocks from the beach, I worked for the local newspaper and Nicole worked for a local entertainment publication. Myrtle beach will always have a special place in my heart. I've always had an interest in railroad history, so it was natural for me to take an interest in the old depot in Myrtle Beach. 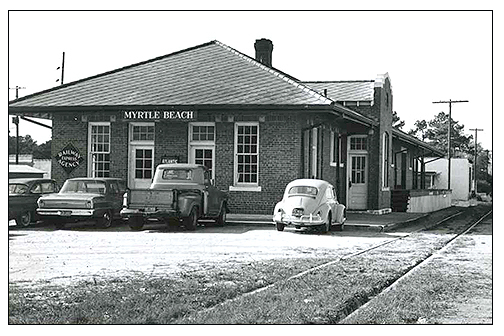 A Brief History - Built in 1937, the original ribbon-cutting ceremony for the Myrtle Beach Train Depot was May 6, 1937, the year before Myrtle Beach officially became a town. 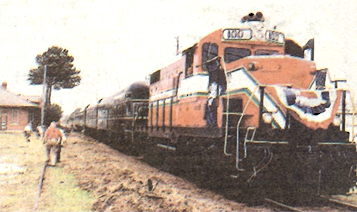 Atlantic Coastline Railroad (ACL) and Myrtle Beach Farms Company entered into a land exchange in which the Myrtle Beach Farms Company was responsible for constructing the new depot and then relinquishing ownership to the railroad. The new Depot provided a much-needed transportation link between the mainland and the beach. This one-story rectangular building was constructed with the standard ACL bi-level floor plan that has a raised freight room with steps leading down to the lobby/office area. However, the exterior architectural detailing, reflecting Colonial Revival, Craftsman, and Mission stylistic influences, is much more elaborate than other ACL Railroad stations in the south. 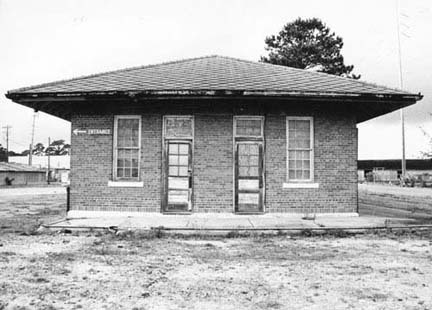 The station has a hipped roof, brick bearing walls, a stepped parapet roof in the square bay, nine-over-nine windows, concrete sills, a decorative belt course above the windows, scroll-sawn rafter ends and a large roof overhang with open eaves. For the next three decades, the Depot served as the city's activity hub, welcoming passenger trains full of vacationing families and boxcars full of supplies and building materials. 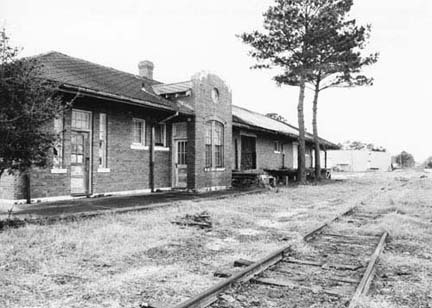 In 1967, with train travel waning, Atlantic Coastline Railroad sold the Depot and 1.25 acres to a beverage distributor, which constructed offices and warehouses on the site. These new buildings blocked the view of the Depot from main roads. The company also removed an exterior freight dock from the Depot and replaced it with an enclosed two-bay maintenance garage for trucks. The remainder of the building was used for storage and warehousing. 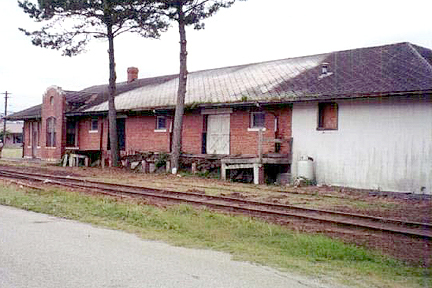 In 2001, the garage was successfully removed, and, on July 22, 2002, the Myrtle Beach Train Depot was placed on the National Register of Historic Places. 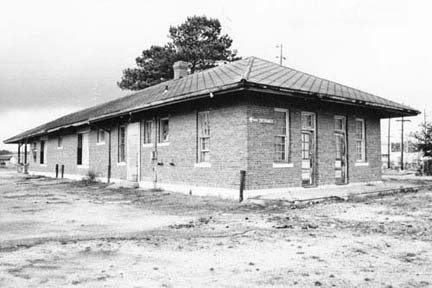 Finally, on May 6, 2004, the All Aboard Committee cut the ribbon on the newly restored Myrtle Beach Train Depot, 67 years to the day after the original opening ceremonies. 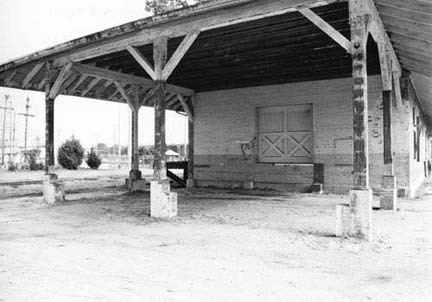 In 2005, the Myrtle Beach Train Depot received the South Carolina Historic Preservation Honor Award from the S.C. Department of Archives and History. View of the Front Side of station. View of the Back Side of station. View ofside with freight door. View of side with freight door. View of Passenger Enterance and backside of station. In this photo you can see the two-bay garage. 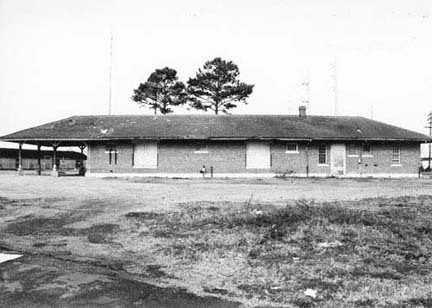 1960's photo of the Myrtle Beach Station. 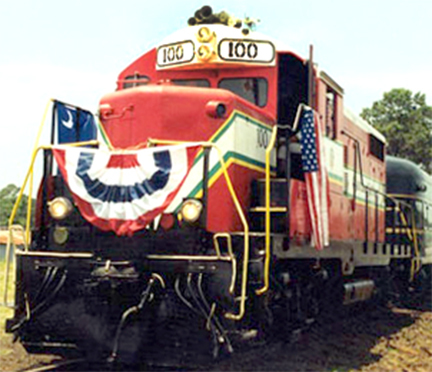 The Carolina Southern Railway line that runs between Myrtle Beach and Conway, South Carolina, was reopened after fourteen years without use. The occasion was celebrated with an inaugural four-passenger car train that traveled from Conway to Myrtle Beach. Pipen said that this event "was a historic day as it shows that with the motivation of private industry and the cooperation of government anything can be done". Pippen claimed that his railroad would ease the traffic between Conway and Myrtle Beach as with every trip, four tractor-trailers will not be traveling on the roads. He continued, saying that Los Angeles voters had agreed to pay a tax to reinstate a similar railroad to reduce traffic and Myrtle Beach had saved itself from a similar predicament by allowing his company to service and use the railway. Pippen received a number of awards for his renovation of the railway line, including Congressional Recognition by South Carolina Congressmen Henry Brown. he also received an Outstanding Service and Educational restoration Award. "It was memorable to see one man's vision become a reality," said South Carolina Secretary of State Jim Miles,"it is also historic for our great state. Pippen was given a fifty year lease on the railroad that began on April 22nd of this year (2001), and his goal was to have the track operational for an inaugural run in sixty days. Pippen achieved his goal, having the track ready and the train run on Friday, June 22nd, 2001. 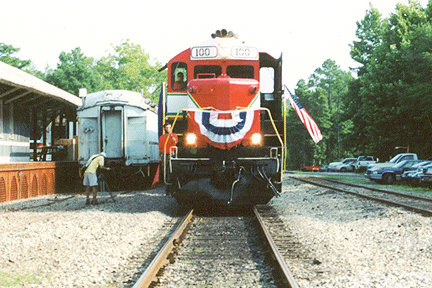 Pippen said that he became interested in the track because of its potential to ship freight into Myrtle Beach, especially because the Conway connection was linked to the National Railway Line. "Once all repairs on the railway were complete, the train will probably travel once a week into Myrtle Beech because there is only one line in and out of the city", he said. Pippen and Carolina Southern Railway have renovated railroads along the east coast, and they were responsible for reinstating the railway that shipped soldiers between the Army and Navy game in Maryland. The train now transports passengers to and from Orioles and Ravens games at Camden Yards in Baltimore. Even though Pippen transported passengers for his inaugural trip, he has not been given a permit to ship passengers to and from Conway. The county must still approve his permit to carry passengers. The inaugural Carolina Southern train left from Conway and stopped in Myrtle Beach; however, there would have been no pace to stop if it was not for Myrtle beach Resident Jack Thompson. 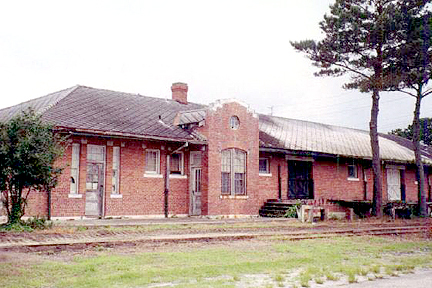 Thompson saved the Myrtle Beach train depot from demolition earlier in the year. 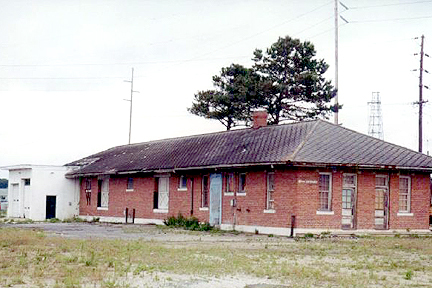 The depot was scheduled for demolition because the depot owner had no buyers for the station. Thompson drove by the depot just as it was to be demolished, and he stood in front of the bulldozers. The workers called the owner,and Thompson convinced the owner to give him twenty-four hours to come up with an alternate plan. Thompson approached the city council and stated that the last historic building in Myrtle Beach was to be demolished if they did not come up with the money to purchase it. The city agreed to help purchase and renovate the building if Thompson could raise $650,000 of the $750,000 necessary. With the help of the All Aboard Committee (An organization which records and helps restore historic railroad stations), Thompson has raised $420,000 to date. 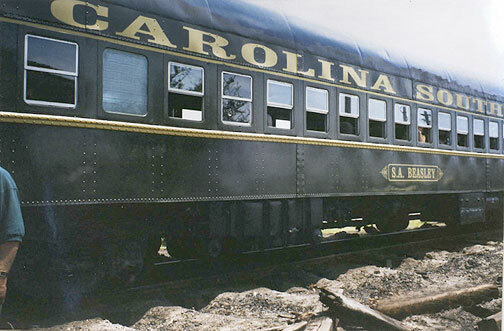 The Carolina Southern Railroad has donated a locomotive in support of the historic restoration, and Thompson has planned a sidewalk of history inscribed with the names of donators and contributors. A contribution may donate $50 and receive a brick inscribed with his or her name, or a family may donate $125 for a one foot by one foot piece of pavement. 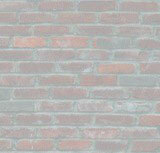 Corporate sponsors may donate $500 for their name to appear on a piece of pavement as well. When asked what the future of the depot was, Thompson replied, "we want the depot to be a community reception center with historic value." 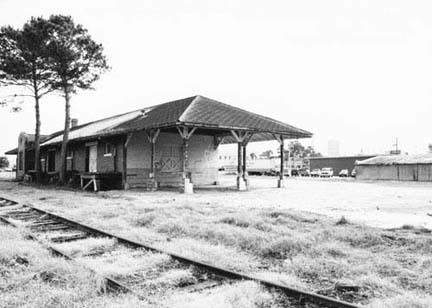 Thompson also responded to the idea of passengers being transported from Conway to Myrtle Beach by train, "if Pippen can get an addendum to his lease in order to transport passengers, then we would defiantly consider using the depot as a place to unload and load passengers. 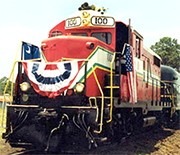 GP18 #100 at the Conway, SC Depot before the inaugural trip to Myrtle Beach. #100 was Originally built in 1960 as Chicago, Rock Island & Pacific #1333, ex-Nashville & Ashland City #9, ex-McCormick, Ashland City & Asheville #9. GP18 #100 Myrtle Beach, SC. GP18 #100 arrives in Myrtle Beach, SC. Carolina Southern Railroad Coach #1903, SA Beasley, in Myrtle Beach.